A new grant aims to increase college enrollment and completion. Albany, NY - September 24, 2013 - Governor Andrew M. Cuomo today announced a $6.7 million federal College Access Challenge Grant (CACG) awarded to New York State to increase college enrollment and completion among low-income students across the State. This is New York’s fifth federal CACG award, which is competitively awarded by the U.S. Department of Education. The New York State Higher Education Services Corporation (HESC), which has successfully competed for New York’s four previous federal CACG awards totaling $29 million, will again administer the new grant. In the last two academic years, the funds have provided services to more than 124,000 New Yorkers. Services funded through New York State’s CACG program have direct impact on students who are traditionally and historically underrepresented on college and university campuses. Studies have found that one such group – former foster youth – have a college graduation rate of only 2-5 percent. Since 2010, the New York State Office of Children and Family Services’ CACG-funded Youth Ambassador Program has worked to improve college-going rates among the State’s youth in care. Youth ambassadors, all formally foster youth who are currently attending or have completed college, are selected to represent one of 6 regions statewide and provide outreach and mentoring to current youth in care to help them overcome the barriers to achieving educational success. “Serving as a youth ambassador has contributed to my personal development and has given me the opportunity to reach out to hundreds of other youth, like myself, who believe in their ability to overcome any challenges they encounter or will encounter as they journey through life,” said Raven Profit, a Youth Ambassador for the Albany region and senior at the University at Albany. As with earlier CACG awards over the past five years, HESC will continue to distribute much of the grant funds through a competitive statewide process to schools, nonprofit agencies, and community-based organizations that work directly with at-risk populations and populations that are traditionally underserved. Providing professional development for middle and secondary school counselors, admissions counselors and financial aid professionals to help them better meet the educational needs of traditionally underrepresented students and families. As a national leader for higher education, New York is the top destination for first time freshmen nationwide and annually provides $1 billion in need based grants through the state’s Tuition Assistance Program. Information on previous recipients of CACG sub-grant awardees and their projects can be found on the HESC website at HESC.ny.gov. 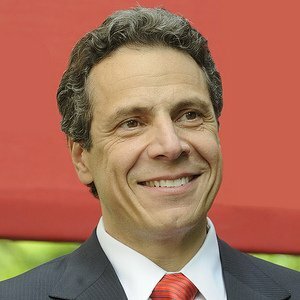 Subject: LongIsland.com - Your Name sent you Article details of "Governor Cuomo Announces $6.7 Million Federal Grant to Help Low-Income Students Attend College"